Popularity - 2,280 views, 15.2 views per day, 150 days on eBay. Super high amount of views. 34 sold, 5 available. 2,280 views, 15.2 views per day, 150 days on eBay. Super high amount of views. 34 sold, 5 available. Seller - 13,147+ items sold. 1.7% negative feedback. Great seller with very good positive feedback and over 50 ratings. 13,147+ items sold. 1.7% negative feedback. Great seller with very good positive feedback and over 50 ratings. 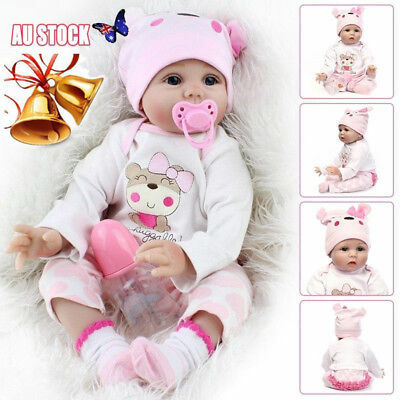 Handmade Lifelike Baby Boy Girl Silicone Vinyl Reborn Newborn Dolls +Clothes 22"